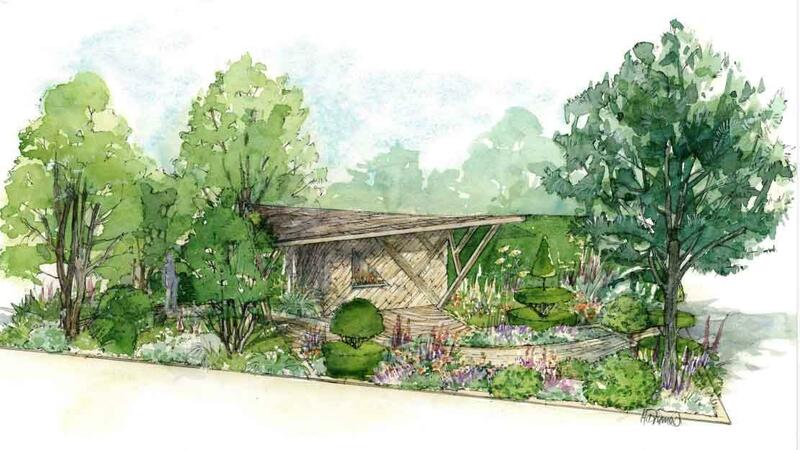 Given the paucity of show gardens at this year’s Chelsea Flower Show, I regret not having written more about last year’s crop, which had a different pedigree altogether. I hope to correct one such oversight now, by comparing and contrasting Morgan Stanley’s two most recent Chelsea gardens, both designed by Chris Beardshaw. This year’s garden, inspired by ‘fractal geometry and patterns found in nature, music, art and communities’ was one of the most accessible at the show, and hence always a front runner for People’s Choice, which it duly won. A Silver Gilt medal from the RHS judges puzzled many show-goers, but in the end the public placed this simple yet effective garden on a pedestal. At a Chelsea devoid of lawns and low on the usual swathes of early summer prairie, Chris Beardshaw delivered a crowd-pleasing combination of cool, shaded woodland and bright, sundrenched perennials, with an imposing oak and limestone loggia sitting firmly at the garden’s heart. The woodland area had Helen of Oz’s heart melting, packed as it was with plants that would shrivel up and die in the Australian outback. An effortless combination of ferns, hostas and primulas, punctuated by rocketing cardiocrinums, was both soothing and uplifting. 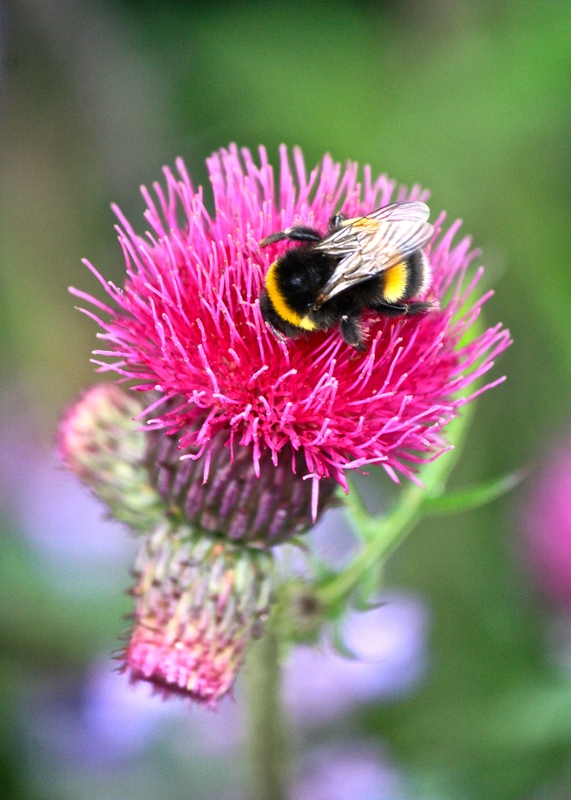 Not challenging, not fashionable; just what many of us would be happy to achieve in our own gardens. Because of the gaps left by the gardens that failed to secure sponsorship, the Morgan Stanley garden had the unusual advantage of running along Main Avenue rather than away from it. This made the whole scheme appear larger and more impressive, although it was impossible to get anywhere near the perimeter, so enraptured were the crowds. An extremely fine Scots pine (Pinus sylvestris) anchored the perennial end whilst tender, green field maples (Acer campestre) and statuesque box (Buxus sempervirens) grounded the other. Classic hornbeam hedges provided a backdrop. A central loggia crafted from oak and limestone was monumental in its proportions and struck me as a little too bulky and dominant within the space. I’d like to have seen some planters or seating sheltering beneath the mighty canopy to give the structure a greater sense of purpose and improve its relationship to the garden. 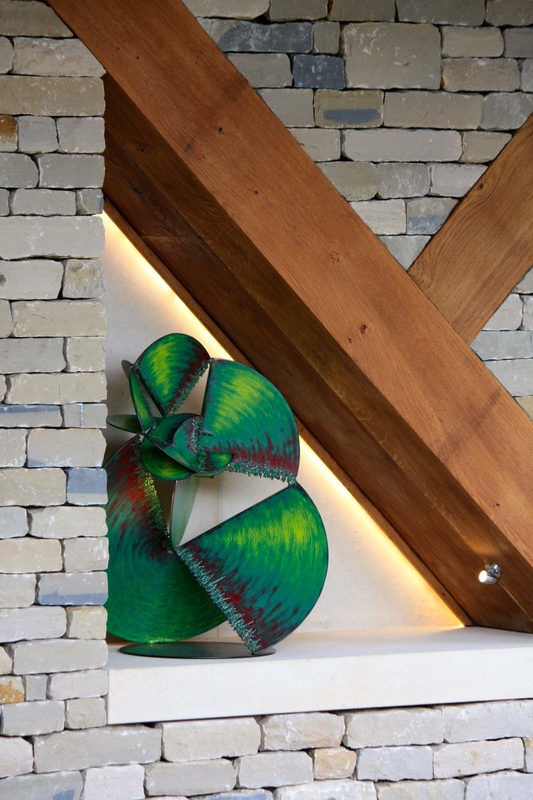 American artist Craig Schaffer created three pieces of abstract sculpture for the show garden, inspired by fractal structures found in the natural world. They reminded me quite a lot of broken vinyl records spliced together, but I appreciated how well they fitted into the overall scheme. Chris Beardshaw, who was on the garden whilst we were admiring it, seems like a thoroughly charming man. 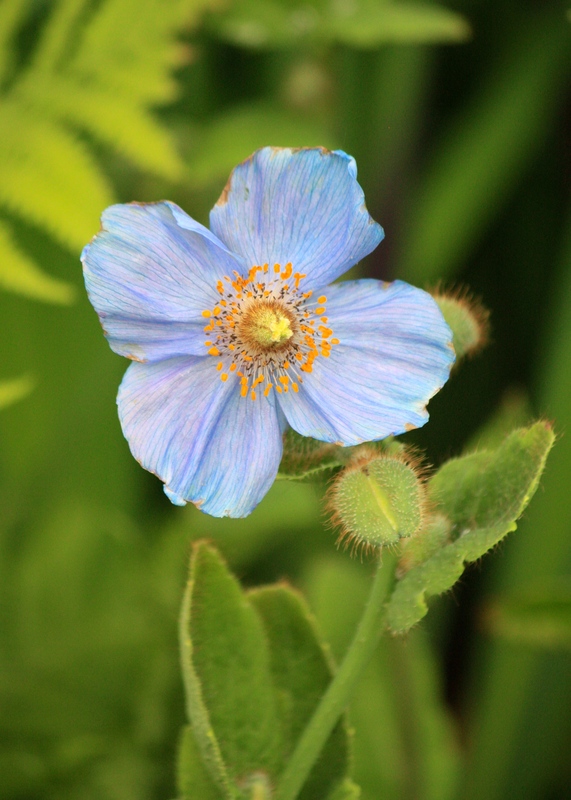 A group of school-age children had come along to show him a project they had been working on and he presented them with a plant of Scabiosa ‘Butterfly Blue’, explaining its appeal to pollinating insects. The children and their teacher were clearly overjoyed. And instead of commissioning one of the famous Chelsea plant factories to grow the material for his garden, Chris decided to grow most of the herbaceous plants himself, which he described as a ‘magical’ and ‘thrilling’ experience. Not every plant was in peak condition, the echiums for example had gone over, but knowing Chris had grown them himself made that alright by me. Now that the show is over the garden will be recycled by a charity called Groundwork that offers young people training and job opportunities. Elements of the garden will split between three educational community schemes in East London where its special music and rhythm will live on. Follow this link for a 360º view of the garden. 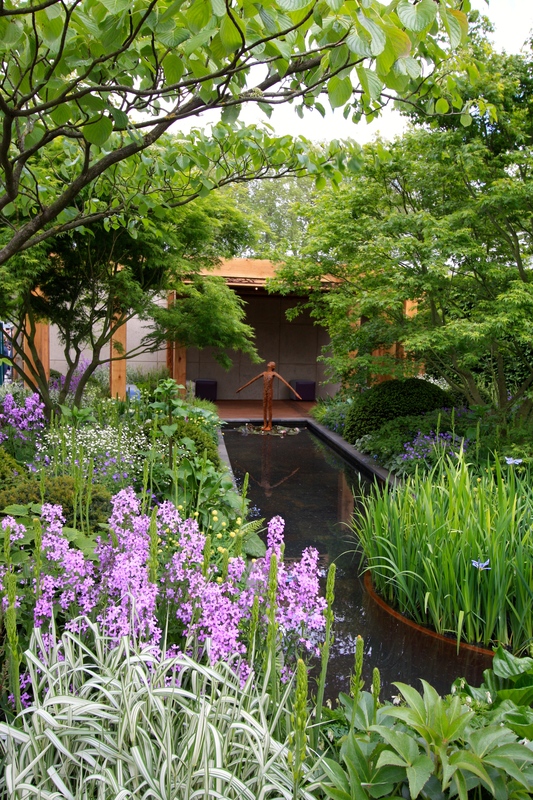 Returning to 2016, I recall the Morgan Stanley Garden for Great Ormond Street Hospital as being equally soothing and restful, but perhaps not as outstanding as some of the other designs that year. Nevertheless it was awarded a gold medal, and as time has gone on, and my own taste has developed, I find I appreciate it more. 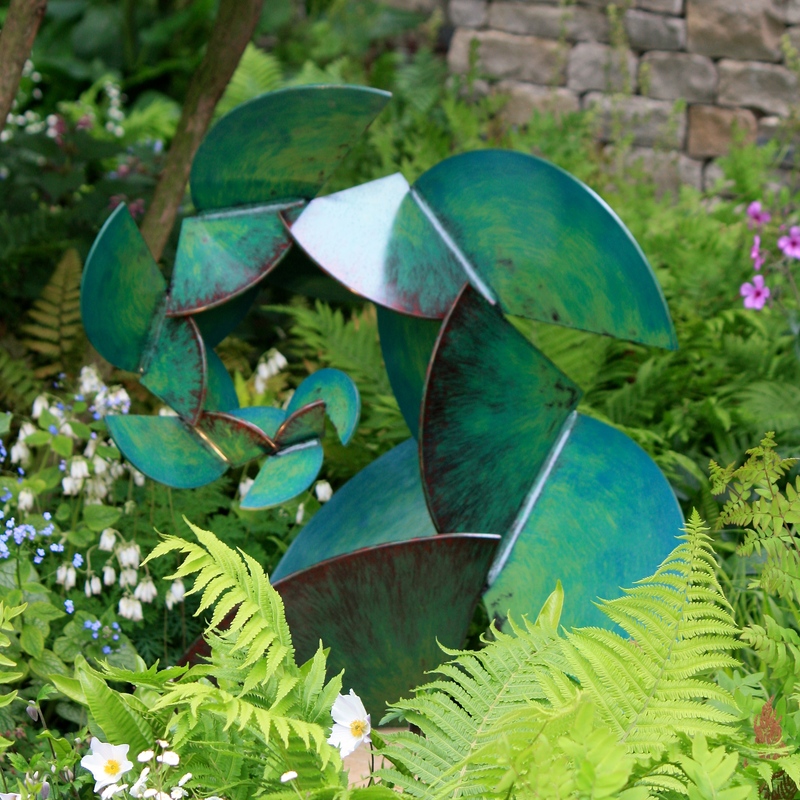 The standout moment in this garden for me was the sculpture ‘Fallen Deodar’ by Jilly Sutton. 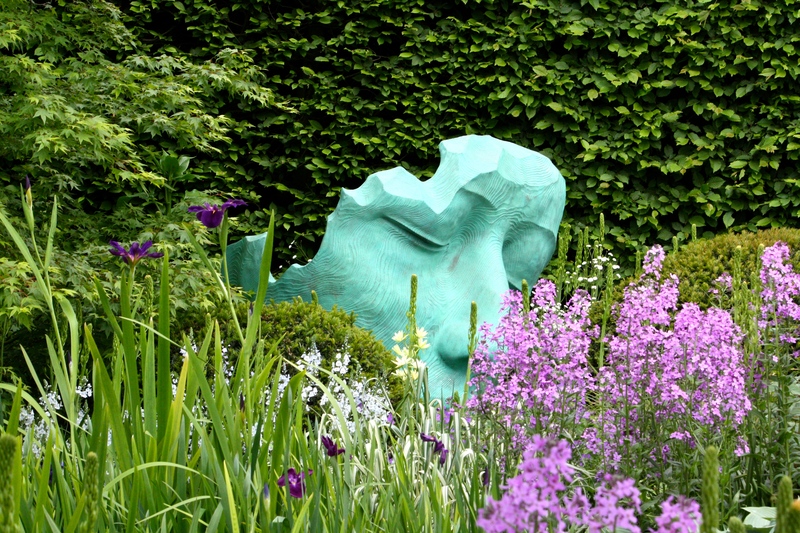 Fashioned from cedar and verdigris bronze, the mask’s serene countenance and gentle repose made me imagine a gentle giant slumbering in a secret garden. 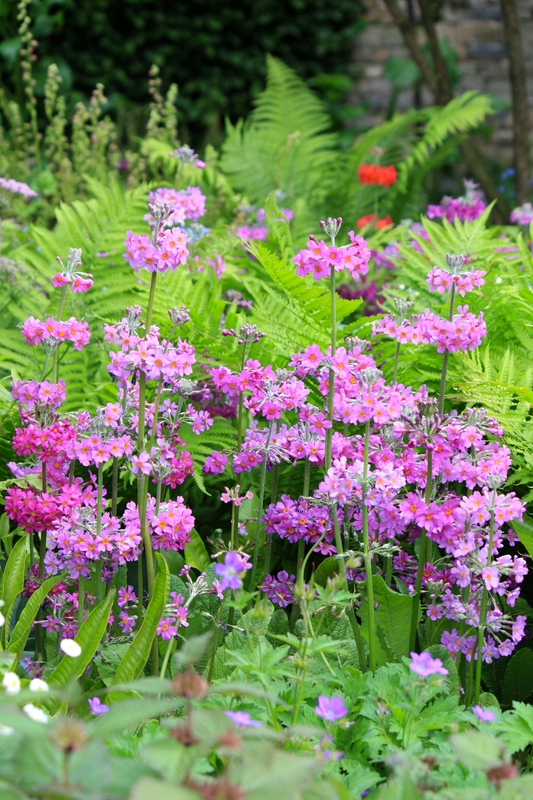 Key plants in the scheme were hesperis – such a lovely clear light purple; Iris sibirica – which has become something of a Chelsea staple in recent years; camassia – providing the same upright accents as the cardiocrinums did in 2017, and the acers, their crowns uplifted, billowing gently in the breeze. 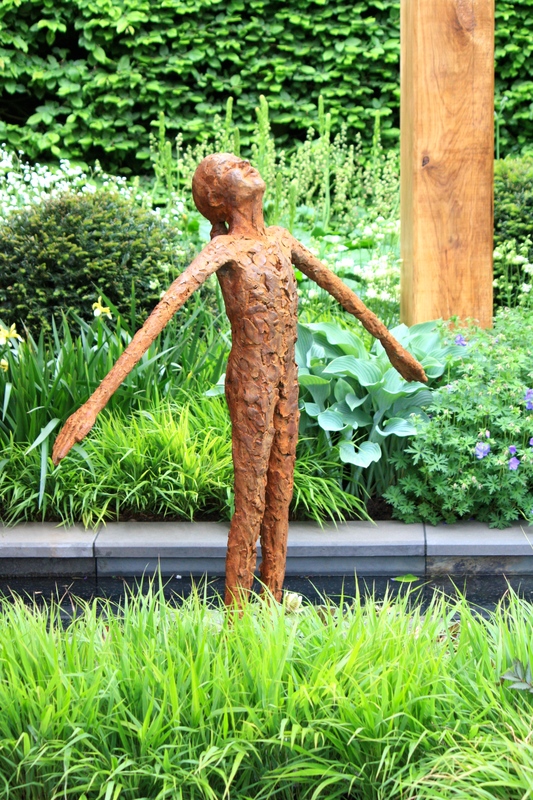 The garden was moved after the show to a shaded, second-floor rooftop location at Great Ormond Street Hospital to provide a private, reflective space for parents and families of children undergoing treatment. With so many Chelsea gardens going on to find permanent homes in communities, hospitals and hospices it would be interesting to hear from sponsors how they have fared. One assumes they must be simplified and modified to ease the burden of maintenance and to provide a longer period of interest. In conclusion, here we have two gardens for the same sponsor, but with very different guiding principles. Chris Beardshaw’s knack of designing show gardens with broad appeal is important given both will live on in the public domain. His gardens combine a certain familiarity and Englishness, whilst also inspiring onlookers to push the boundaries within their own plots. Post Chelsea 2017, I’d wager there will be far more attempts at sinuous paths through beds of hostas and primulas, and trips to the garden centre to source cardiocrinums and fancy-coloured lupins than there will be efforts to recreate parched quarries. A lack of gimmicks and plants that date ensure Chris’ gardens for Morgan Stanley will stand the test of time. What a wonderful garden this was. It was so beautiful and had such an air of calm about it.. Dan you are quite right, this garden was so appealing because it was ‘doable’. 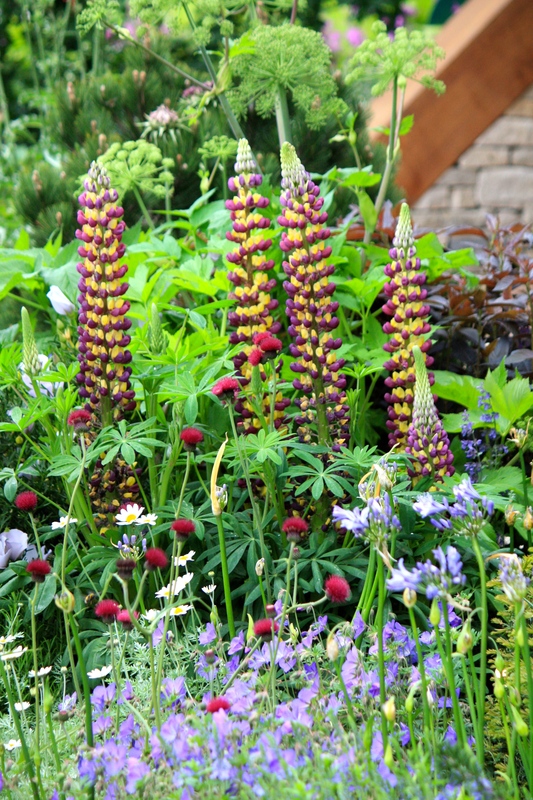 I was so inspired by the gorgeous lupin and primrose plantings that I am going to attempt to repeat the same. Am not at all surprised that the garden was the crowd favourite. A lovely post! 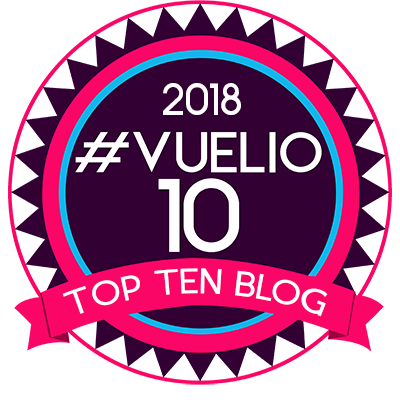 Thanks for this post on Chris Beardshaw’s gardens. I like last year’s better than this, but agree that the planting is beautiful. I think it’s the loggia that is putting me off as it just looks too big for the space. 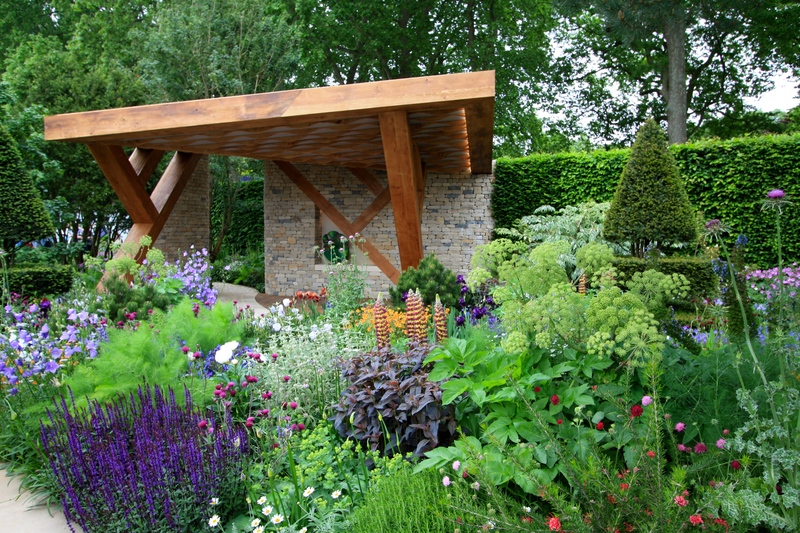 I can see why it got people’s choice and think it deserved gold when compared with the winning garden. At least it was a garden. To answer your earlier question, we are well into minus morning temperatures in Canberra and the ski season has started early. Daytime temperatures are at present around 13 degrees. But we intrepid gardeners must soldier on! Lots to do! Thanks for the plant list which I find very helpful. It’s so difficult to remark on someone else’s garden, it all being down to personal taste. Personally this year’s garden looks rather solidly in place to me, a bit like a perm with lots of hairspray added just to make sure. But then I’ve only seen pictures and TV, not the reality. If it had been mine there would have been more grasses and more movement in the breeze. But perhaps that’s just my excuse for having a garden that looks like a field and not always in a good way.. especially after today’s torrential rain and near gale force winds. It’s now as flat as a pancake. Where did I put the hairspray? Thank you for this post Dan. I do hope that Chris Beardshaw reads it.. Had to have hurt not receiving a Gold. For goodness sake judges it is the Chelsea FLOWER show. Get a grip. Yes indeed. More flowers, fewer rocks please judges!